Grace Ueng (翁惠芷) is Founder & CEO of Savvy Growth, dedicated to helping leaders and their companies maximize success. Founded in 2003 as Savvy Marketing Group, her firm now offers management consulting and executive coaching services as well as keynote speeches and communication workshops. Grace is a globally recognized expert in marketing strategy and personal branding and consults for clients from emerging growth to Fortune 1000. Grace has passion for success and shares this desire with her clients. Her 30 years of work experience spans from consulting at Bain & Company to working inside brand leaders General Mills and Clorox to contributing to five technology ventures that had exits through public offering or acquisition. While at MIT, Grace was recognized as one of Glamour’s Top 10 College Women. She earned her MBA from Harvard Business School. 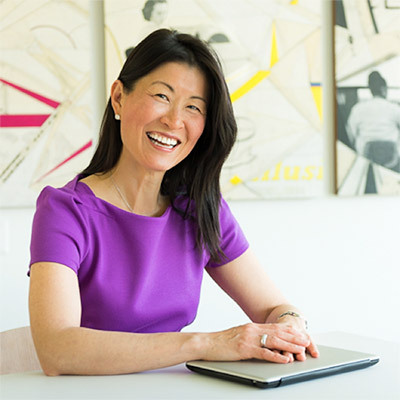 She has served on adjunct faculty teaching entrepreneurial marketing at UNC Kenan-Flagler Business School and at MIT Sloan School’s joint venture with Fudan, Shanghai’s leading university. We carefully staff each engagement to best meet client needs. Grace, along with Savvy’s principals, associates, and business partners, bring an unmatched depth of experience and passion to maximize value addition. In addition to serving on corporate boards, Grace has served on the boards of the Harvard Club of Research Triangle, North Carolina School of Science and Math Foundation, Big Brothers Big Sisters, and the Leukemia & Lymphoma Society. She has also been commissioned as a Stephen Minister. She is an advisor to the NC Chinese Business Association, SoarTriangle, Innovate Raleigh and serves on the board of advisors for Elon University’s Love School of Business. A published author and motivational keynote speaker, Grace has been named Top 8 Asian-American Women of Influence by Audrey magazine. Following the tenth anniversary of a life changing cycling accident, Grace started writing Project Peak on climbing the mountains of life – business and beyond. Her interests include education, positive psychology, and endurance challenges. Enter contact information below to receive inspiring monthly Project Peak posts.